2: Animated trailer for Shalom Auslander's, "Foreskin’s Lament: A Memoir," 2008. This short animated video presents an introduction to the book’s content and tone. It features the author’s voice reading the first few pages of the book. Suggested Activity: Have your students discuss the following questions: What makes Auslander's first few pages funny? Perhaps the humor comes from the reader’s / listener’s discomfort with what is said. 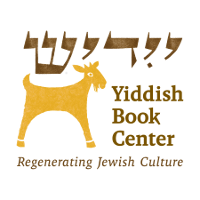 The reader perceives the author’s statements as transgressive – not only of the norms of Ultra-Orthodox culture, but also of the assumptions of wider Jewish and American cultural patterns. Have your students make a list of the cultural assumptions Auslander challenges or transgresses. Ask your students: Why do you think we as readers might identify with those specific assumptions? What was your reaction to these assumptions – were you uncomfortable? Did you laugh? Why or why not?